The Tour of Chongming Island is a race typically dictated for the sprinters with valuable bonus time incurred at the intermediate sprints and finish line. Leading into an intermediate sprint on Stage 1, there was a large crash that unfortunately involved five out of the six Cylance Pro Cycling riders. While most of the team escaped the incident without major injury, Marta Tagliaferro (ITA) took the brunt of the fall and suffered a broken collarbone and facial injuries. Missing a pivotal piece to the leadout train, the team had to refocus to get ready for the finish without a key rider. Wild blasted across the line to win Stage 1 and quickly dedicated the stage to Tagliaferro, the “ninja”, who was unable to finish the race. This result was the team’s first UCI World Tour win of the year, and a victory for the record books. The team rallied around Wild the next two days of racing to go for the overall win of the tour. It was great teamwork by “bambino” Rachele Barbieri, newly minted track world champion, as she followed Wild’s leadership, along with Erica Zaveta, Sheyla Gutierrez and Willeke Knol. 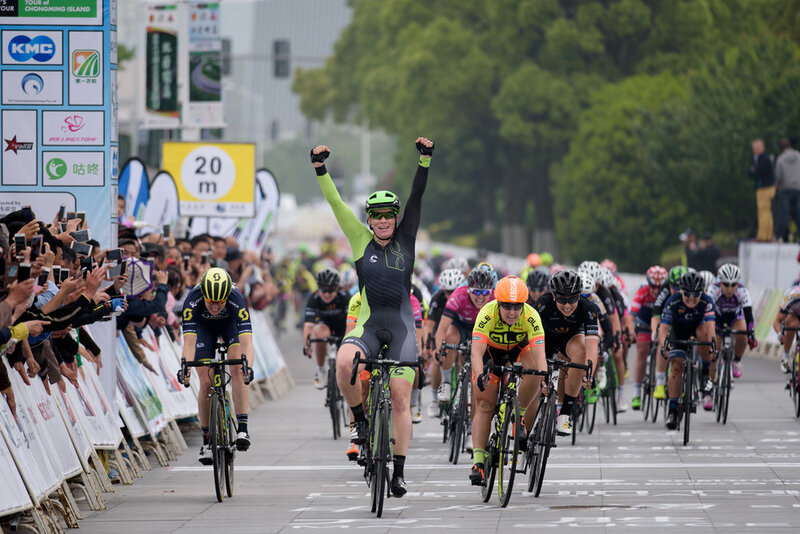 Finishing just one second shy of winning the tour, Wild earned 2nd overall at the Tour of Chongming Island and second on the two final stages in addition to her stage win. It was a stellar performance by the entire team to deliver huge results from across the world. We wish Marta a quick recovery, as she is already anxious to get back on her bike. “I can smile today after some bad days after the crash is because I’m part of a team that never stop to support me in everything during the day and also during the night. I am proud of every one of them. I will never forget how much love and support they gave me in this hard moment. I will be stronger and more determined now” says Tagliaferro. The next race for women of Cylance Pro Cycling will be the next UCI Women’s World Tour event May 11-14, the Amgen Breakaway from Heart Disease Women’s Race empowered by SRAM.